Aiden Fleischer is a conflicted man, more so than most men. A young and sheltered priest who struggles with his faith, Aiden escapes an extortion scheme by signing up with the Missionary Society. Travelling with him, is his friend and housekeeper Clarissa Stark, whose engineering genius is matched only by her crippling disfigurement. Before long, Aiden and Clarissa find themselves on a remote island near the Solomon Islands, and Aiden begins his task of bringing the Lord’s word to the natives. Who aren’t the slightest bit interested. Also, they are cannibals. During a ritual gone wrong (or maybe right?) Aiden and Clarissa are sent through a portal to an alien world, where strange insect-like beings welcome them with open arms. Apparently the islanders have been coming here for years to work as servants for the aliens. After Clarissa accidentally falls into a sacred pool, the aliens, known as Yatsill, are able to read her thoughts and memories of London. Soon, the Yatsill are all speaking with almost Cockney accents, and attempting to wear the fashions of 1880’s London, which look ridiculous on their four-legged bodies. The Yatsill are mimics, able to create and recreate their city, their homes, their language and their fashions to copy memories read from an Earthling’s mind. But they are still just imitating, going through the motions with no understand of what they are doing (Not unlike how Aiden goes through the motions of being a man of faith, actually). A funny example is the British sounding names many of Yatsill adopt, such as Crockery Clattersmash, Prosper Possibly, and Mordant Reverie. Poor Aiden, he has to keep a straight face the whole time! The details put into the Yatsill and their planet of Ptallaya are nothing short of astounding. Hodder lets his imagination run wild, offering up lighter-than-air behemoths who crawl across the landscape by grabbing trees with their hands, huge fruits that hum, and sky scraping tentacled creatures. Ptallaya itself, is in a unique spot in the universe, which causes all sorts of strange things to happen on its surface. For no other reason, read this for the aliens and their unique planet. Because the Yatsill are just the beginning of what Ptallaya has on offer. why I read it: Highly enjoyed the first two books in the series, The Strange Affair of Spring Heeled Jack and The Curious Case of the Clockwork Man. Shortly after starting this book, I had two predictions. and I was right on both of them. The year is 1863, but not as it should be. Two decades of unrestrained genetic engineering and eugenics have nearly covered London with the giant hollowed out insects filled with steam powered machinery, foul mouthed messenger birds and fouler breathed messenger dog-things. Sir Richard Francis Burton has always felt an outsider in London, but things are getting out of control, even for him. After an attempt on his life, Burton is approached by Prime Minister Palmerston to return to Africa. The trip will be publicized as another attempt to find the source of the Nile, but in reality, Palmerston has tasked Burton with finding the African Eyes of the Naga. The Eyes, black diamonds that fell as asteroids, had already been found in Cambodia and South America. Connected to an impossible myth, the shards of the diamonds can retain thoughts impressed upon them. And Burton isn’t the only one searching for the Eyes. But meanwhile, we have another story line happening. It’s 1914, and in the trenches of a Great War far more horrific that the one in your history books, a man has lost his memory. Befriended by a journalist who recognizes him, the man very slowly regains his memories. What he remembers is even more impossible than the Great War his eyes are showing him. 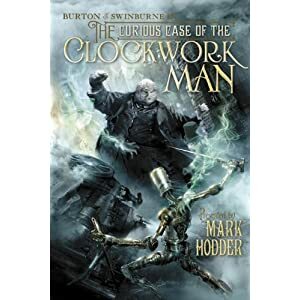 Don’t forget, today is the last day to get in on the contest to win a copy of The Curious Case of the Clockwork Man, book two in Mark Hodder’s steampunk/mad science Burton & Swinburne series. Enter for the give away here. Read my review of the first book in the series, The Strange Affair of Spring Heeled Jack here. Contest will close at midnight tonight, eastern standard time. I’ll announce the winner tomorrow, so watch this space, and watch your e-mail! why I read it: adored the first book in the series, The Strange Affair of Spring Heeled Jack, reviewed here. Enter to Win a Copy of The Curious Case of the Clockwork Man, here. Contest is open until March 21. Welcome to Victorian England, just not the Victorian England you know. The Queen is dead (so perhaps I should call it Albertian England? ), scientists are having a field day with steam powered inventions, eugenicists are having a ball with genetically modified foodstuffs and insects grown to obscene proportions and magic is real. Well, not magic exactly, but mind control, astral projections, spiritualism, mediumistic techniques to read the future is all very, very real. And it all started back in 1837, when a certain someone had such very good intentions and tried so very hard to fix what had gone horribly wrong. It’s now 1862, and Sir Richard Francis Burton and his assistant Algernon Swinburne have recovered from the Spring Heeled Jack Affair. The Technologist faction is under control, Isembard Kingdom Brunel has made his new life public, the British government is playing favorites regarding the American War between the states, and Burton continues to be bitter about being passed over for funding for African expeditions. 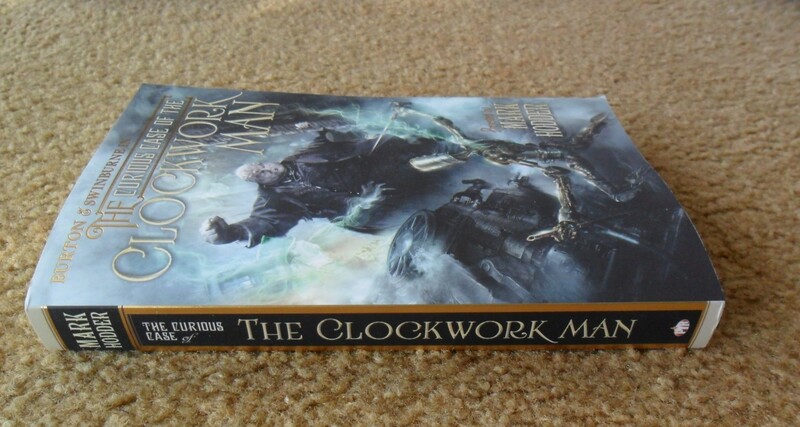 Although Hodder provides plenty of background information and these are fairly episodic adventures so far, I am reluctant to say you can read The Curious Case of the Clockwork Man as a standalone, as there is a overarching plotline that I believe will become more important than any one adventure. A very Shiny Curious Clockwork Man Giveaway! I feel like that should be the name of a hallmark channel movie, “a very shiny clockwork christmas”, or something, don’t you? 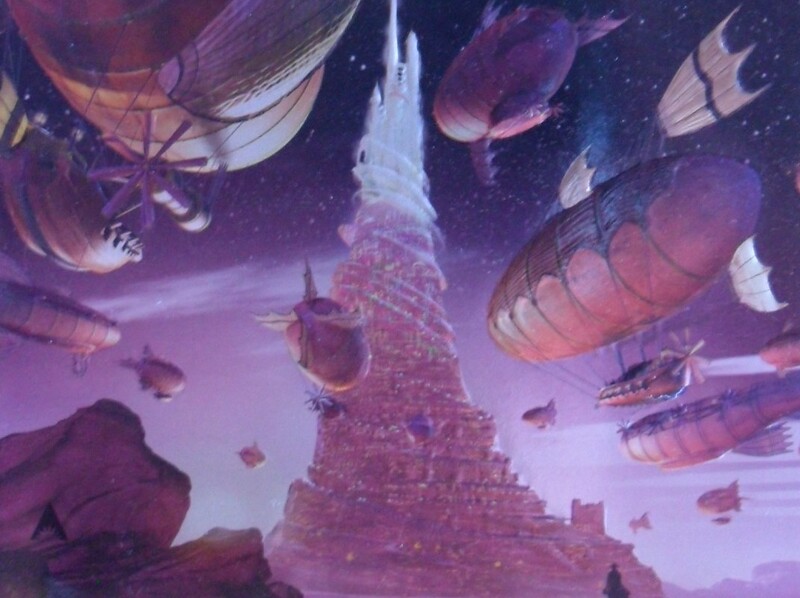 Anyways, thanks to the always friendly folks at PYR, I have a beautiful, very shiny and very lovely copy of Mark Hodder’s The Curious Case of the Clockwork Man to give away. 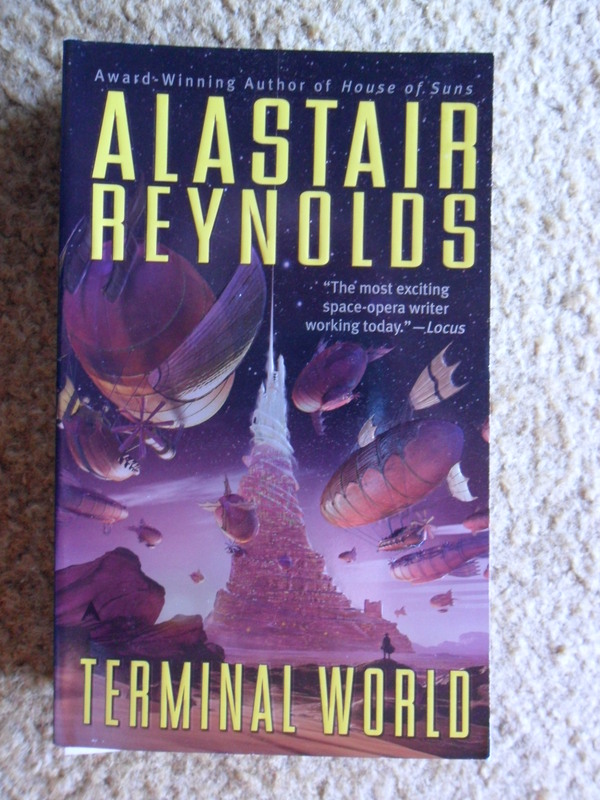 It really is lovely, and that’s just the cover art! Just wait till you get a load of what’s inside! Interested in winning a copy of this alternate history steampunk driven, mad-science brimming, genetically modified plants weaponized, clairvoyance mind-control-ized mystery adventure full of twists and turns? Of course you are! Just leave a comment that you’re interested, along with a way that I can get in touch with you (website, e-mail, twitter, parakeet address, favorite local indie bookstore that you haunt, twitter handle for author you’re stalking, etc). Contest is open till end of the day March 21, and the winner will be announced on March 22, the day the book is released. This giveaway is open to anyone living on Earth. However keep in mind the further away you live from me (I’m in the continental US), the longer it will take for the book to reach you. My review will be posted in the next little while, so stay tuned! apologies for the fuzzy photo and hideous carpeting.